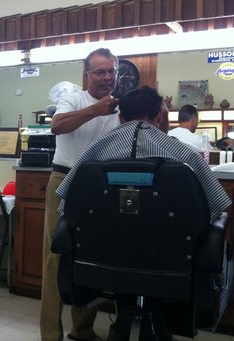 Freddy is a master barber with over 32 years experience. He specalizes in precision haircuts for men with attention to detail. 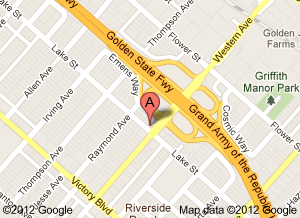 Call Freddy at 818-550-8255 to schedule an appointment. Walk-ins are welcome Monday-Saturday, 10:30am to 5:30pm. Earlier and later appointments are available. "I've been going to see Freddie for the last thirty or so years...if you want to look your best go see Freddie." "I was really tired of going to the supercut places and never getting the same person to cut my hair. I found freddy and have had great cuts ever since." "Freddy is a very friendly, personable guy, and very professional. He was happy to make recommendations as to style and length, but not pushy about it. He was very respectful of what I wanted. A haircut was $20, which is not super cheap, but quite reasonable, in my opinion. And this is the best cut I have had in a long time, so it was well worth it." "Freddy is awesome. Best haircut I've ever gotten. Prices....wow only the best. If you want a professional salon hair cut at a fraction of a price at a regular salon then you need to go with Freddy." "Amazing! Freddy is amazing. Great haircut and great conversation. A calming environment and his attention to detail lets you know you're in good hands." "i started getting compliments on my cuts...I highly recommend him."